Imagine an education fountain-head that unleashes creativity and spirit of innovation in it’s students – from the initiating first year to the years beyond the academic years….It was an intoxicating experience today taking in the passion of the faculty and leaders at KLE Technology University. But the best part was experiencing first hand the students’ excitements as they worked out solutions to need statements from the market place. 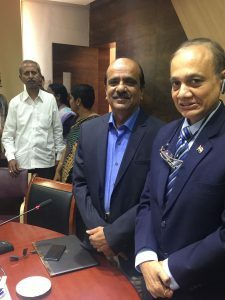 I had heard of Dr Ashok Shettar (Vice Chancellor at KLE Tech Univ) and his pioneering work in evolving the pedagogical delivery of creativity at KLE Tech University. It was an experience meeting him and going thru the student demos and talking to the start-up entrepreneurs. 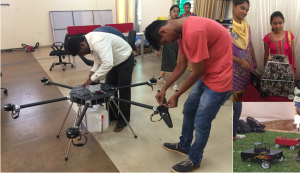 Incubating external entrepreneurs in campus to build a chain-reaction across the academic, industry interface…. Today – the presentation shared that the 5 year old initiative now has spawned 38 startups – 8 have moved to the next stage and 2 have crossed 100 crore valuations!